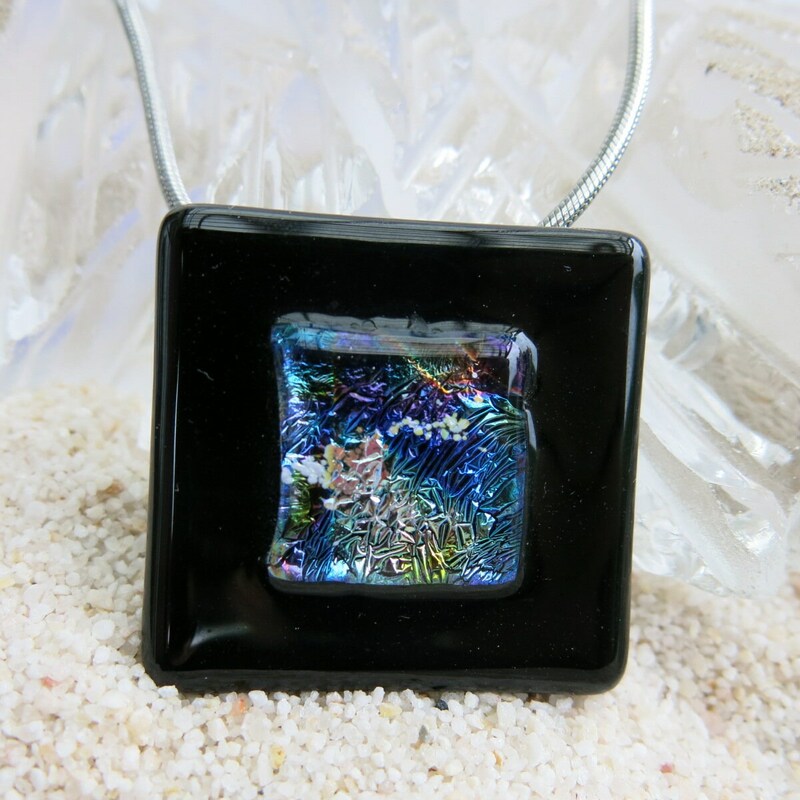 Fused glass and Dichroic Glass pendant. 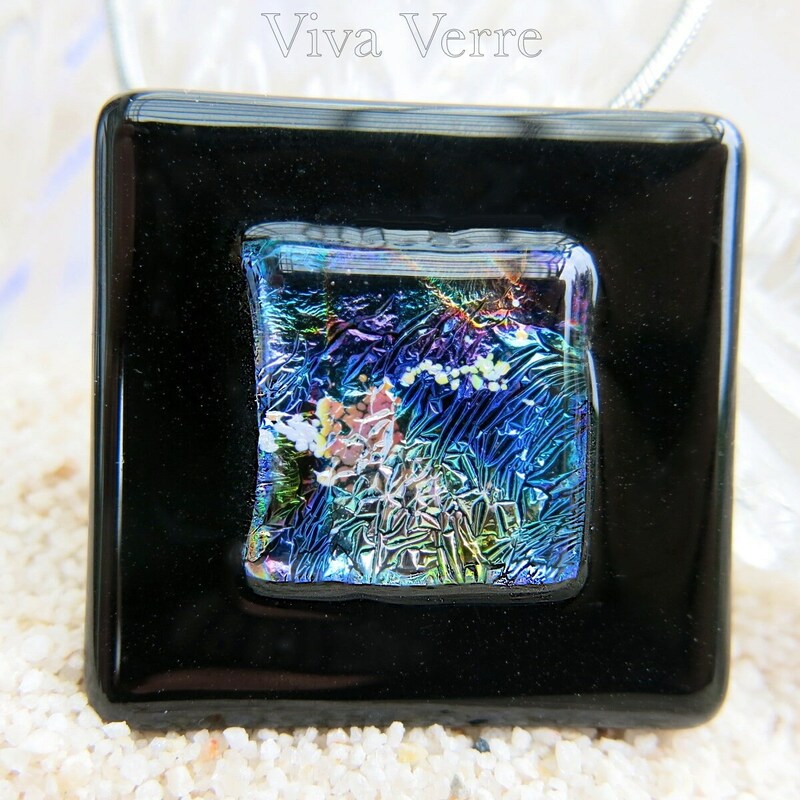 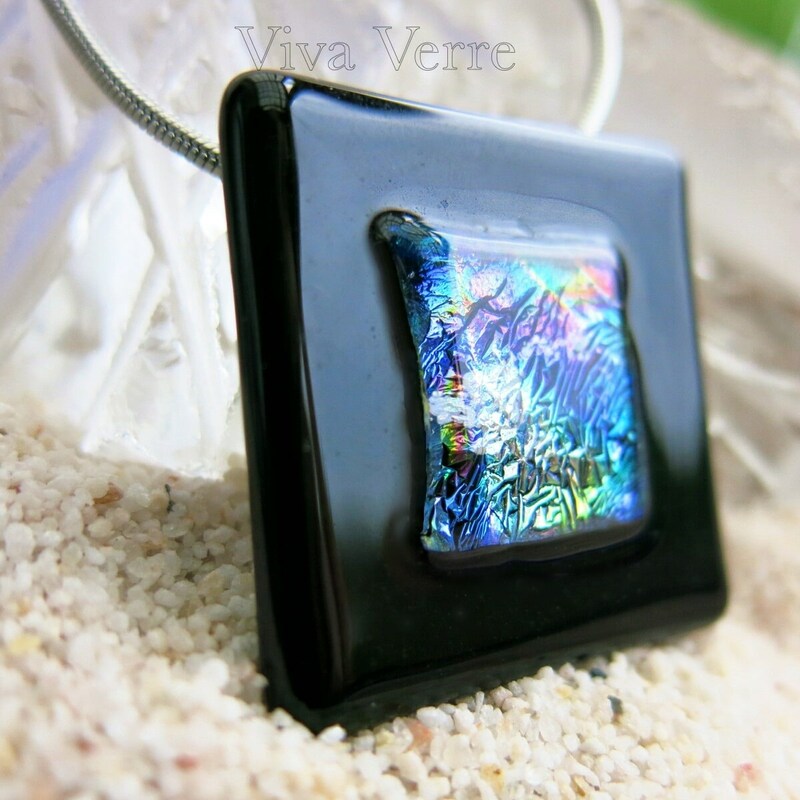 Pendant square fused glass, black and gold, blue, green Dichroic Glass. 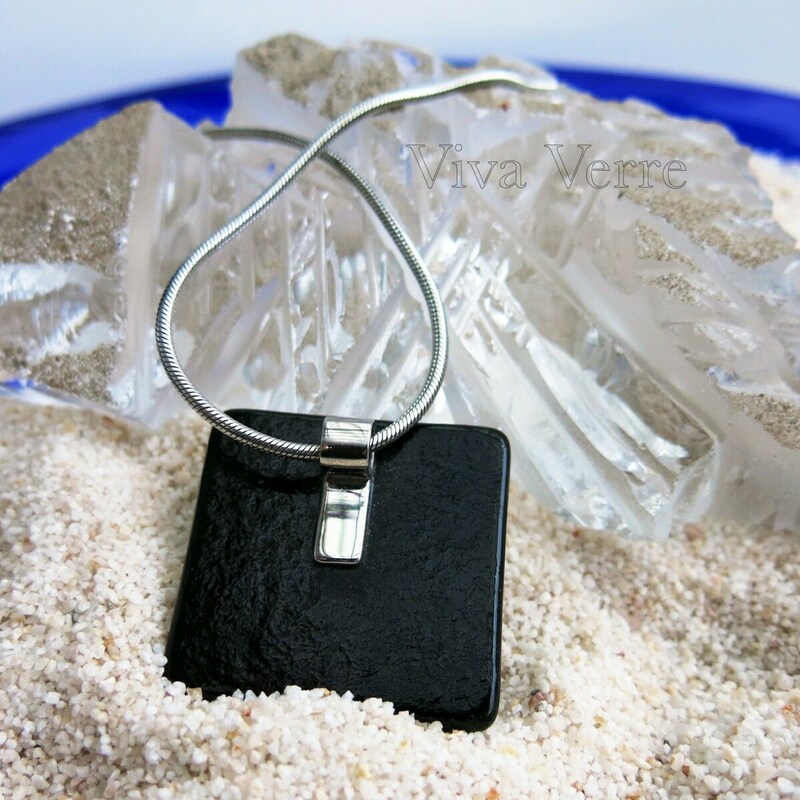 Stainless steel bail a jewel that will stay beautiful. 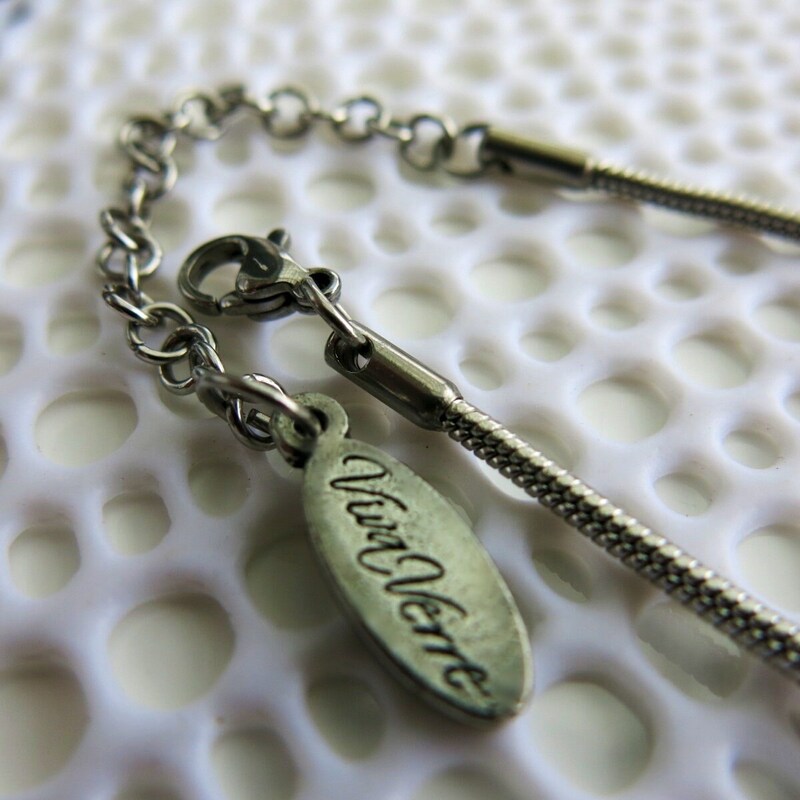 Chain stainless steel, size 2mm, length 18 inches in with a 2 inch extension. 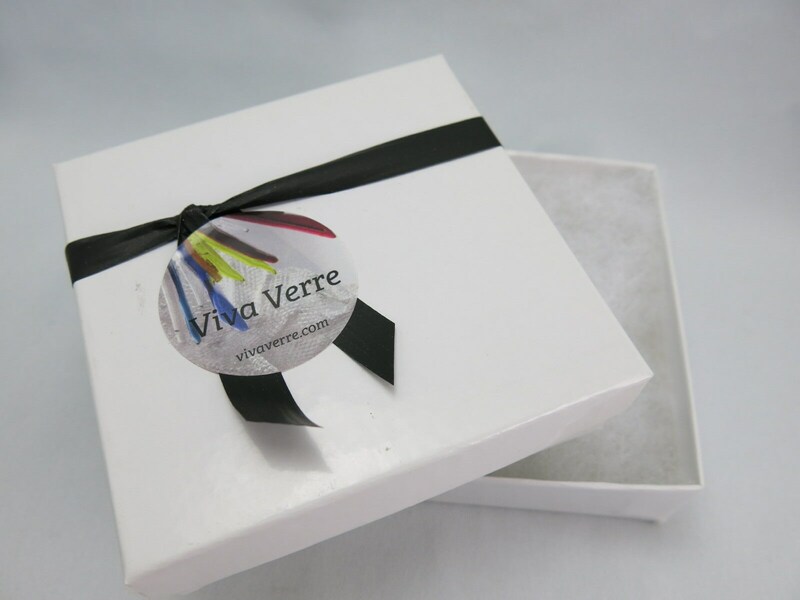 Stainless steel is used exclusively for my jewelry, this ensures quality, durable, jewelry that will retain their luster over the years and most importantly, it is suitable for all skin types, doesn't cause any allergic reaction. 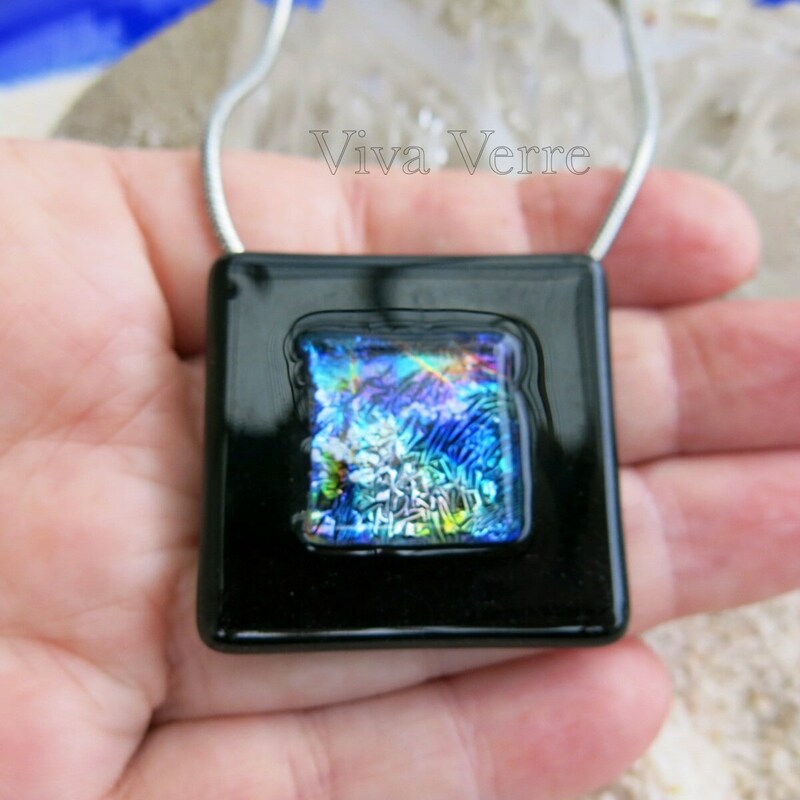 Size: 40mm x 40mmconcu and created by me in my Studio in Montreal.